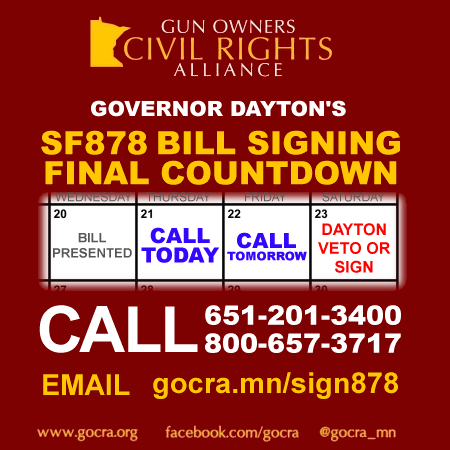 On Friday, May 22, Minnesota Governor Mark Dayton signed Senate File 878 into law. 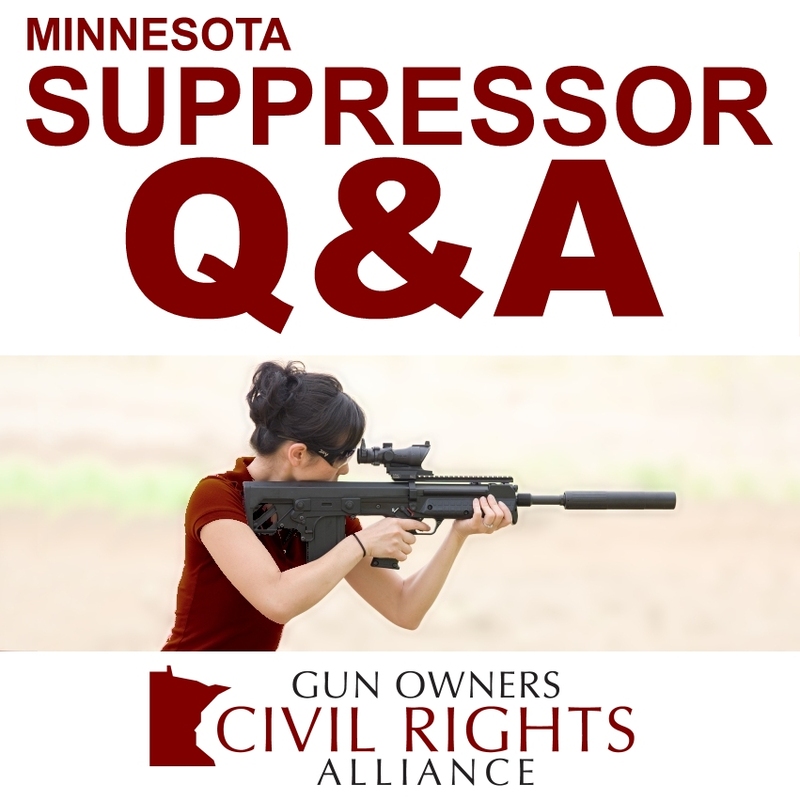 Among many other provisions, the law legalizes the ownership of firearm sound suppressors, sometimes called “silencers,” by ordinary Minnesotans. 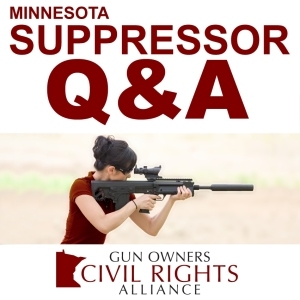 Prior to SF878, most Minnesotans were prohibited from possessing suppressors within the state. Effective July 1, the state ban will be lifted. Minnesotans will still need to meet all federal requirements. The prohibition on possessing suppressors is repealed as of July 1, 2015. Will I be allowed to hunt with my suppressor? Yes. SF878 repealed the prohibition on hunting with a suppressor, effective August 1, 2015. PLEASE NOTE THAT THIS IS ONE MONTH LATER THAN THE OWNERSHIP EFFECTIVE DATE! Is there a limit to how many suppressors I can own? You have to stop when you run out of money — that’s it! Are you a fan of the new suppressor law? Support the group that made it happen with a donation or membership! Should I use an NFA trust? A trust is a separate legal entity, like a corporation. Choosing to form a trust allows you to skip the photo, fingerprint, and chief law enforcement officer sign-off requirements that individuals must meet before getting a suppressor. This can be useful if you live in a municipality where law enforcement officials refuse to sign NFA paperwork for purely political reasons. This is only an overview! There are a lot more details than we can describe in a blog post. Your suppressor dealer is the best resource to guide you through the process. Go to a suppressor dealer and place your order .This may require a deposit, a down payment, or even a complete payment. . Wait for the suppressor dealer to get the actual suppressor serial number .Unless your dealer has the suppressor you want in stock, the dealer has to go through her own federal paperwork process, and you can’t apply for your tax stamp until the actual suppressor you will own is set aside for you. This may take a month, or two, or three. . Pick up your paperwork from the dealer .The dealer will give you two copies of an ATF Form 4 with the make, model and serial number of the suppressor already filled in. . Fill out two copies of your Form 4 .This is your application for a federal tax stamp required to own a suppressor, which is regulated under the 1934 National Firearms Act. .
Get two passport-style photos .You can do this at many drugstores and copy centers. .
Get fingerprinted .Yes, you need to submit fingerprints to the federal government in order to be trusted with a hollow tube. Sorry. .
Get a Chief Law Enforcement Officer (CLEO) signature .A local chief law enforcement officer (your local police chief, sheriff, or county attorney, usually) must sign your Form 4 application, indicating that they are not aware of any legal impediment to your ownership of a suppressor, and that the fingerprints and photos are actually yours. . Send the application, fingerprints, photos, and a $200 tax payment to the ATF .There, a small group of firearms examiners, running a backlog of several months, will eventually get to your application. . Wait and wait and wait! .Processing is currently taking about four or five months, according to multiple sites that track submissions. This changes all the time, and there may be a surge of applications from Minnesota… . Dealer receives your tax stamp .The ATF will eventually mail the dealer a copy of your paperwork, with your tax stamp affixed. . Pick up your suppressor! .When your dealer notifies you that your paperwork has arrived, go pick up your suppressor! . Keep your suppressor safely stored or in your physical possession .Under federal law, you need to maintain physical possession of your suppressor. That means that no one else but you has access to it, and that you keep it in your personal possession, or at the address on your application. When you take the suppressor with you, make sure that you have a copy of the registration paperwork with you to prove that you are in legal possession. See a trust lawyer to create a trust It becomes the owner of the item(s) that you purchase. 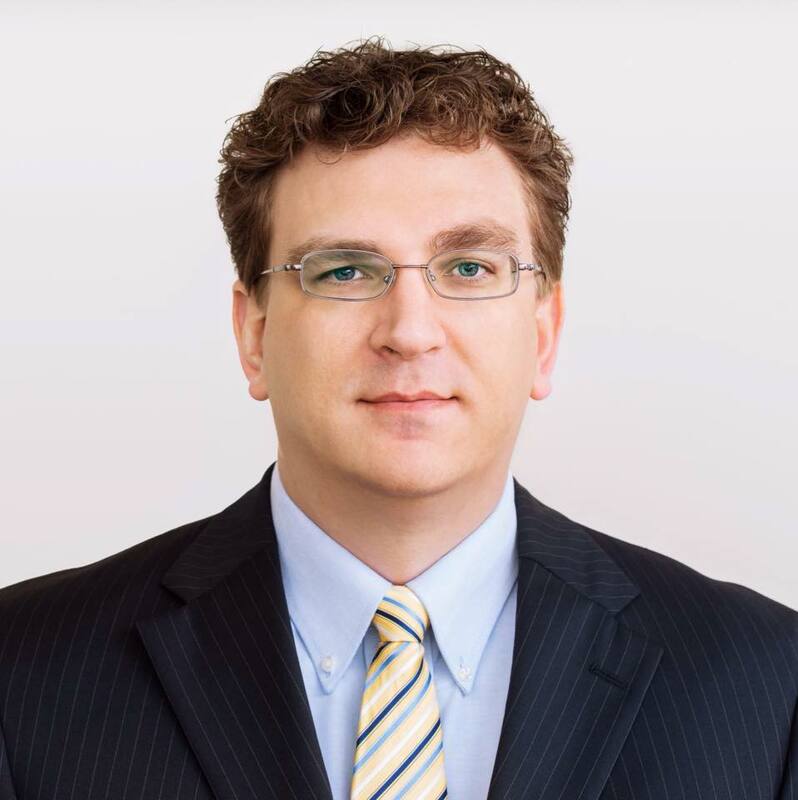 A good trust lawyer will make sure that the trust is properly and legally created. 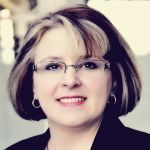 We recommend against using fill-in-the-blank trusts from non-attorneys. Two Minnesota gun trust lawyers have agreed to offer discounted rates to GOCRA members. They are: . Get a Chief Law Enforcement Officer signature . Your local police chief, sheriff, or county attorney must sign your Form 4 application, indicating that they are not aware of any legal impediment to your ownership of a suppressor, and that the fingerprints and photos are actually yours. . Send the application, a copy of your trust, fingerprints, photos, and a $200 tax payment to the ATF .There, a small group of firearms examiners, running a backlog of several months, will eventually get to your application. . Wait and wait and wait! Processing is currently taking about four or five months, according to multiple sites that track submissions. This changes all the time, and there may be a surge of applications from Minnesota… . Receive your tax stamp .The ATF will eventually mail the dealer a copy of your paperwork, with your tax stamp affixed. .
Keep your suppressor safely stored or in your physical possession .Under federal law, the suppressor needs to be in the physical possession of a trustee. That means that no one else but a trustee has access to it. When you or another trustee takes the suppressor with you, make sure you have a copy of the registration paperwork and trust paperwork, to prove that the trustee is in legal possession of the suppressor. .
Can I start the paperwork now? Yes! We talked to the ATF, and they confirmed that even if you mailed in your paperwork today, it would almost certainly be later than July 1 before anyone actually looked at your eligibility. So, warm up those pens (and checkbooks)! Welcome to a quieter Minnesota! DISCLAIMER: THIS IS NOT LEGAL ADVICE, but a general overview. You are responsible for ensuring that you have the correct information, and that you act in a legal manner. The ATF can (and does) change the rules and procedures at any time. Unlawful possession of a suppressor is punishable by 10 years in federal prison, so use caution! A HUGE thanks for Rep. Tony Cornish for taking the bill through the Minnesota House. Thanks to the individual House bill authors, Representatives Mark Anderson, Jim Newberger, Jim Nash, Eric Lucero, and Dan Fabian, and Senators Paul Gazelka, Dave Thompson, Bill Ingebrigtsen, Kent Eken, Matt Schmit, and Lyle Koenen. 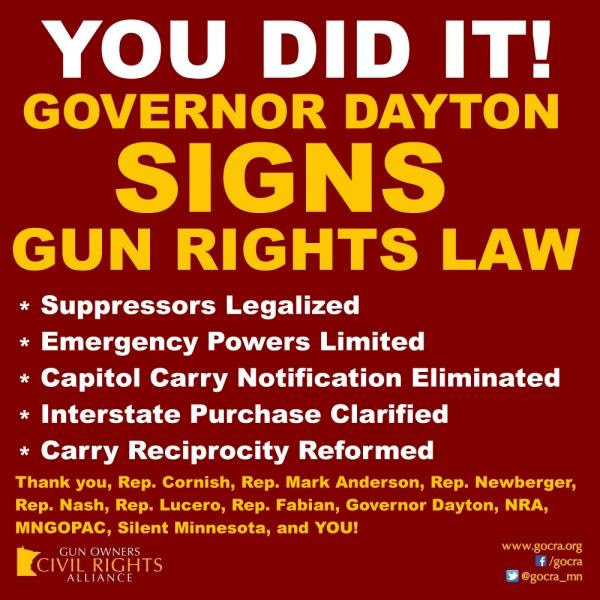 Thanks to Governor Dayton, for choosing freedom! Thanks to our friends at the NRA Institute for Legislative Action, who worked tirelessly behind the scenes to keep our bills moving! Most of all, thanks to YOU, who showed up, called, emailed, and supported GOCRA.